DoradoFix 1400 Overspray, Gunk and Goof Remover is an excellent graffiti and overspray remover designed to remove problem graffiti, gunk, goofs and overspray etc. without damaging the original underlying paint. 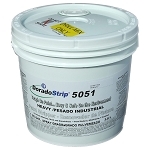 This product is often used to remove aerosol paint graffiti from painted exterior surfaces. It will not fog or streak Plexiglas . Non-hazardous and non-flammable. 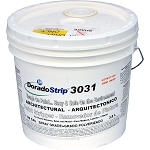 Effectively lifts graffiti, gunk, goofs and overspray from a variety of surfaces, including decorative paint and glass. I have removed paint from clothing, plastics, glass, and metal with DoradoFix. I have customers who use it for graffiti removal.